One of the biggest on-paper mismatches you'll ever see ended with a highly unlikely result. 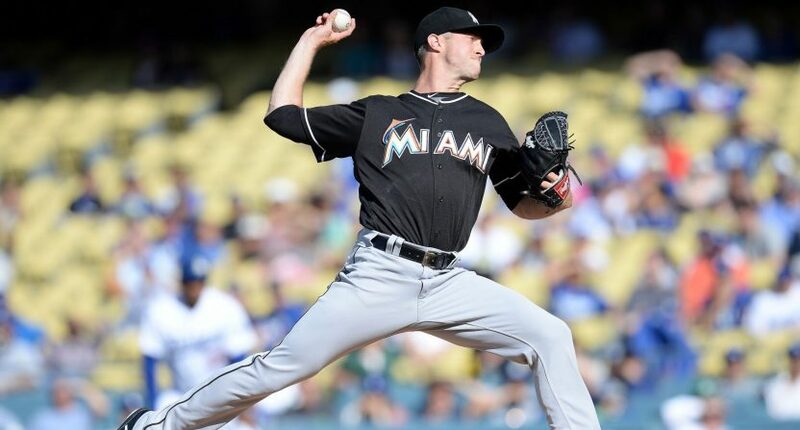 Wednesday night’s Dodgers-Marlins game featured, on paper, one of the biggest pitching mismatches you’ll see all season. On one side stood Clayton Kershaw, the greatest pitcher of his generation and one of the greatest of all time, who was off to yet another impressive start in his 11th big-league season. On the other side stood a 24-year-old named Trevor Richards, who entered with an ERA over 5.00 and was making only his fifth MLB start. If you haven’t heard of Richards, we can’t blame you. He was undrafted out of Drury University in Missouri in 2015 and played a season and a half in independent ball before joining the Marlins organization in 2016. He spent this past winter working as a substitute teacher in Aviston, Illinois before earning a Spring Training invite and working his way onto the depleted Marlins roster. And then on Wednesday, he did something that seems preposterous to even type: He out-pitched Clayton Kershaw. Though Richards failed to pitch deep into the game and wound up with a no-decision, his performance was easily better than that of Kershaw, who muddled through five innings, allowing three runs on five hits and a highly uncharacteristic six walks. The Marlins won the game 8-6. Even in a sport known for being unpredictable, Richards’ outing against Kershaw and the Dodgers is about as crazy as results come. One of the best teams in the league (early-season record aside) sent one of the game’s best pitchers to the mound and lost to one of the worst teams in the league, with a substitute teacher as starting pitcher. It will make for quite a story for Richards to tell his classes next winter.